Michelle Rodriguez seems to be quite upset on the cast of Fast & Furious. The famous actress threatened to leave the franchise if it fails to “show love to the women” in the next movie. It seems that the star does not appreciate at all the way women are seen in the series. Michelle Rodriguez starred in Fast & Furious as Letty Ortiz, the love interest of Dominic Toretto. Toretto’s role was played by famous actor Vin Diesel. Although it seemed that Michelle was very happy and very much involved in the franchise, now it appears that the famous actress is not that pleased with the way the movies have been made. So, in a recent Instagram post Michelle said that she will not renew her collaboration with Fast & Furious if the franchise will not bring women more into the spotlight. “F8 is out digitally today, I hope they decide to show some love to the women of the franchise on the next one,” the star shared. “Or I just might have to say goodbye to a loved franchise. It’s been a good ride & Im grateful for the opportunity the fans & studio have provided over the years… One Love,” her post added. If Michelle keeps her thought of leaving the franchise if nothing will change when it comes to the role of women, we can surely say that the cast will have to suffer. Michelle is actually one of the last original members of the Fast & Furious cast. Except her, only Vin Diesel was also featured on the movie since its first installment. “I’ve been making movies with Jordana, who plays the sister of Dom Toretto, for 16 years and I can count on one hand how many lines I’ve had to her,” Michelle previously said. So, we can surely say that this is not the first time when Michelle has spoken about this subject. The star also claimed that the domain in which she works, meaning the movie industry, is dominated by men. “It does weigh heavy on my head — especially in the male-dominated environment that I work in,” she said. Famous actress Emilia Clarke opened up during a new interview and she managed to create a lot of interest due to some comments she made about the fate of her Game of Thrones character, Daenerys. Emilia said that she will star in the series until its end. Of course, this means that Daenerys Targaryen will not be killed until the end of the show. Of course, the fans of Daenerys will be happy to find out that nothing will happen to their favorite character. So, they should expect to see Daenerys in the eighth and final season of the show. “I mean, I have no doubt there’ll be prequels and sequels and who knows what else. But I am doing one more season. And then that’ll be it,” the actress said according to Rolling Stone magazine. As imagined, all fans of the show are anxious to see the latest and final season of Game of Thrones. And the series is surely expected to be very interesting. “It’s a really interesting season in terms of some loose ends that have been tied, some really satisfying plot points, some things where you’re like, ‘Oh, my God. I forgot about that!’ Rumors are going to be confirmed or denied,” she added. As imagined, a series of rumors emerged soon after the interview was published by Rolling Stone. The fact that Khaleesi will make it to the end of the series might mean that she will not get killed off and might even take the Iron Thrones. Khaleesi is rumored to be the one who will stop the White Walkers. Some other rumors are even more extreme, claiming that Daenerys will actually join forces with Jon Snow and the two will fight together against the White Walkers in the final battle. Some even claimed that the two will actually be together, but others said that Daenerys is in fact Jon’s aunt and a relationship of the two is not possible. Some rumors said that Cersei also promised that she will join the fight against the White Walkers, but she finally decided to withdraw at the last moment, leaving Daenerys and Jon to fight the White Walkers and betraying them. Well, which of these rumors will be confirmed is something yet to be found out when the new season will start. According to some new rumors, famous actress Gwyneth Paltrow will most likely focus less on her acting career and put more interest into her business. The star was last featured in a new movie back in 2015, when she starred in Mortdecai alongside Johnny Deep. So, Gwyneth actually revealed during a new interview on the Today that she plans on focusing on her Goop lifestyle company and website, although this means that she will have less time for acting. “I think I was so lucky I had an incredible acting career. But I had this deep passion to, you know, produce content and make great products and curate things and it’s sort of evolved slowly and had a long gestational period and now it’s like a real business,” the star said. Gwyneth Paltrow’s fans have definitely heard about Goop before, as this initially was a weekly lifestyle newsletter that the actress released in 2008. However, the website grew a lot throughout the years and has become a well-known and recognized online wellness brand. During her interview, the actress also talked about the way in which she manages to balance her work and personal life, mostly her role as a mom. 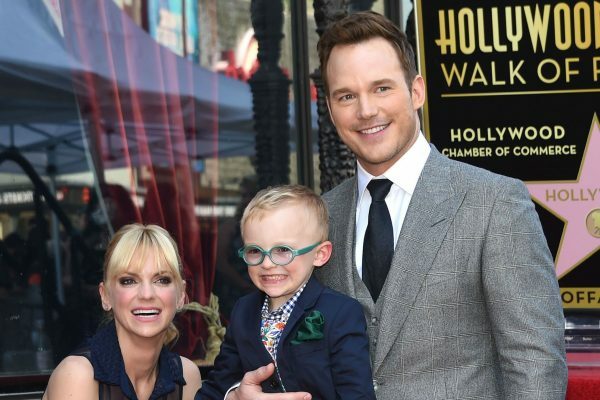 The actress has two children with her former husband Chris Martin, Apple and Moses. “Apple, she’s pretty great. Like, she’s not, I mean, sometimes she asks me to, like, close her door,” the actress said. “She’s like, ‘Can you close my door?’ And I’m like, ‘Wait, with me on the other side of the door?’ But other than that, it’s pretty smooth so far,” she went on to explain. Roger Moore, best known for his role in the James Bond movies, died at the age of 89. The famous actor was suffering from cancer at the time of his death. The death of the famous actor was confirmed by his family in a statement posted on Twitter. The actor’s family said that Roger passed away after “a short but brave battle with cancer.” “Thank you Pops for being you, and being so very special to so many people,” the statement said. 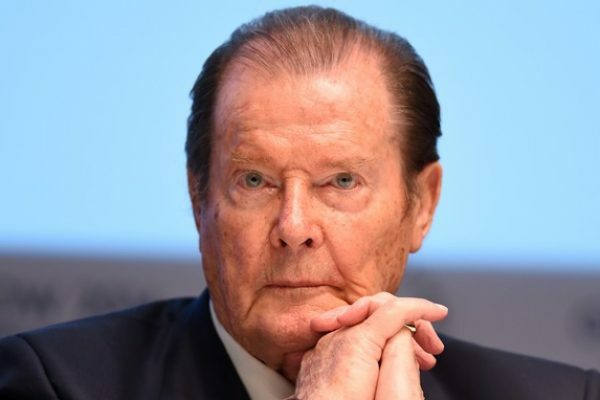 “With the heaviest of hearts, we must share the awful news that our father, Sir Roger Moore, passed away today. We are all devastated,” it added. The statement released by his children also indicated that Roger will have a private funeral in Monaco, as he wished. Roger Moore played in no less than seven James Bond movies, including Live and Let Die and A View to a Kill. He has surely been one of the most emblematic James Bond actors. He took over the honor to play James Bond from famous actor Sean Connery. And he actually managed to change the image of this character with his interpretation, becoming more humorous, calm and suave. His last James Bond movie, A View to a Kill was released in 1985. At that time, it was claimed that Roger decided to leave the franchise. He was 58 when his last James Bond movie was featured in theaters. “My personality is entirely different than previous Bonds. I’m not that cold-blooded killer type. Which is why I play it mostly for laughs,” the famous actor once said in a statement. Besides his James Bond role, Roger Moore is also known for playing in famous television series The Persuaders and The Saint. He was also known for his impressive humanitarian work, becoming a Unicef goodwill ambassador in 1991. 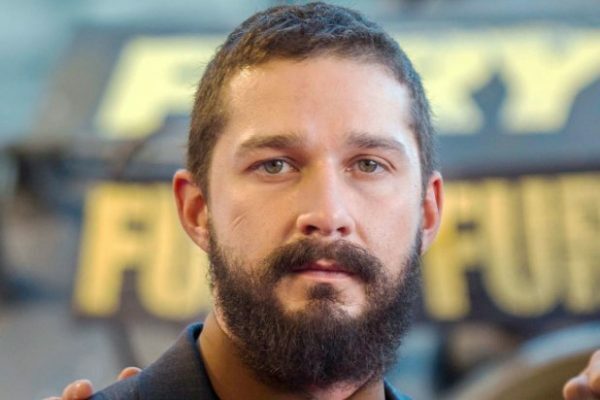 Without a doubt, we can say that famous actor Shia LaBeouf is not enjoying the biggest success of his career. In fact, the latest movie of the popular actor has managed to sale only one ticket for its opening in the UK. This means that the movie made only GBP 7 in the opening weekend. The movie, Man Down, is actually a war story that also stars other famous actors, including Gary Oldman, Kate Mara and Jai Courtney. Of course, the most obvious question that raises in this context is why such a low performance for this movie. Well, a reason might be the fact that the screening of Man Down simultaneously happened on digital platforms and at Reel Cinema. However, we can also say that the movie has not received the best reviews from the critics, either. The Daily Telegraph previously said that this was a “bomb site of a film,” while the Guardian called it “irredeemable.” They offered the movie one and two stars, respectively. Reportedly, since the weekend, the Reel Cinema in Burnley, UK, had only sold about four other tickets. However, it is important to mention that this is not the first time when such a situation has occurred in the UK. Actually, a similar case happened when it comes to movie Misconduct, which was released last June and made GBP 97 at its opening. Despite this whole unfortunate situation, Shia actually got some positive reviews for his work on the movie. Numerous fans from all over the world will definitely be very disappointed to find out that their favorite actor, Sylvester Stallone, will not star in the latest The Expendables movie. It has just been revealed that the actor decided to drop out of the franchise. So, Stallone will not be part of the fourth The Expendables movie, which is definitely not an expected decision, even more so as the star was reportedly supposed to be paid no less than $20 million for his collaboration with this movie. When it comes to the reason why Stallone decided to drop out of the new movie, it has been revealed that the actor and He and Nu Image/Millennium chief Avi Lerner were unable to agree on several aspects, including a new director, the script and some qualitative elements of the film. 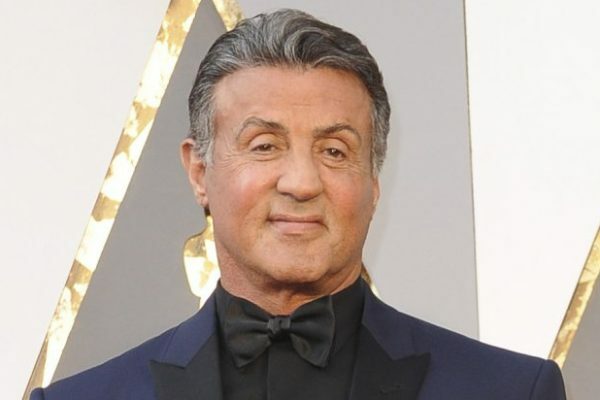 The news was reported by Deadline, which indicated that according to its sources, the famous actor was concerned about “potentially underwhelming results of another franchise with which he is indelibly linked.” The actor will be playing the role of Rocky Balboa once again in the upcoming movie Creed. Of course, fans cannot wait to see the popular actor reprising this role. Well, seeing The Expendables without Stallone will be something unexpected and it is yet to see what the producers will decide for this story. However, it is important to mention that this is not the first time when Stallone and Lerner have had disagreements. Reportedly, this happens often and the two finally manage to work things out. The disagreements were also confirmed by Lerner. “We’ve got disagreements with Sly, but we’ve had them for over a year and a half,” Lerner said according to Deadline. “Right now, each one has an opinion. We agreed on 95% of things, but there are certain things in production we don’t agree on. I don’t think it’s over, but write whatever you want. In my opinion, it’s not dead,” he went on to add. So, it is yet to see if the rumor will be confirmed and what will happen with this movie if Stallone is indeed out. Despite the rumors that have been on, it seems that Tom Cruise and Vanessa Kirby are not actually a couple. So, the dating rumors have been dismissed after previously being said that the two famous actors were an item. The news was initially reported by In Touch, which claimed that it talked to a source revealing that Tom and Vanessa got very close while working together. The insider claimed that Tom really liked the beautiful actress. This would actually be the first time when Tom would be dating someone, as the star has been single for years. Actually, Tom has not been seriously linked to anyone since his divorce from Katie Holmes. So, In Touch claimed that Tom was so in love with Vanessa that he actually was thinking about marriage. 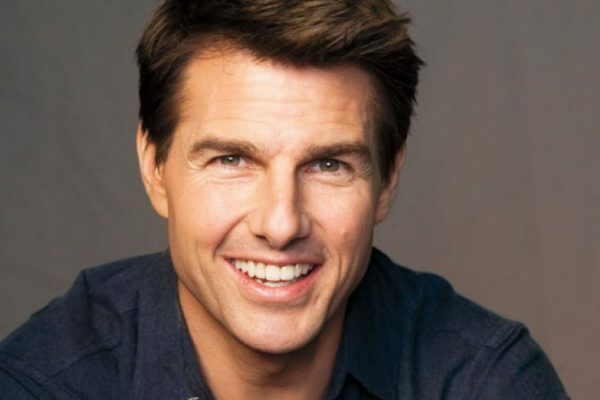 “He wants to make her the next Mrs Tom Cruise,” the source explained. The insider also said that Tom became enchanted by the actress when he saw her perform in The Crown. She played the role of Princess Margaret. “Tom flipped for her work,” the source revealed. “He told the other MI producers that he had to have Vanessa for a crucial role in the franchise’s sixth installment,” the same source went on to add. The insider claimed that it was “instant chemistry” between Vanessa and Tom when they first met and they got along very well on the set together. “He’s blown away by her endless charm and energy,” the source concluded. Well, although fans may be happy to see Tom dating someone new, it seems that the rumors were not actually true. So, Gossip Cop claimed that the whole story was false and Tom was not in love with Vanessa. The celebrity site said that Tom and Vanessa barely know each other. Gossip Cop claimed that their own sources said that Tom and Vanessa have not spent time together and there is really no relationship. Of course, several other rumors were previously linked to the famous actor. At one point it has been claimed that Tom was dating Laura Prepon. Of course, the rumors turned out to be untrue. Famous actress Kate Winslet decided to open up about her experiences while growing up. The star claimed that she was bullied as a child and of course she has been through some very difficult moments. With these comments, Kate also decided to share a powerful message during the fourth annual WE Day UK event. The event took place in Wembley, London. Kate recalled during the event some bad memories from her childhood and she delivered her inspirational message. “They called me ‘Blubber,’ they teased me for wanting to act. Locked me in the cupboard and would laugh at me,” the famous actress said. Kate also revealed that she never got good parts when she was auditioning for school plays. However, she claimed that she never let that take her down and actually she loved every role she got, even though that was being a crocodile or a dancing frog. “I loved acting. It didn’t matter how big or small the parts were. I wanted to be great and I was determined to keep learning,” she said.